NEDCO would like to congratulate Dr. David Beninato and Premier Smile Dental Associates, PC for the completion of their facility and their contributions to the Omaha community. Dr. Beninato, with assistance from NEDCO, recently completed renovations to a two story office building located at 17110 Lakeside Hills Plaza, Omaha, Nebraska. 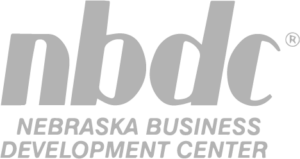 From this facility Dr. Beninato and his team provide family dentistry, cosmetic dentistry, pediatric dentistry, oral surgery and an opportunity to give back to the Omaha community. An important part of Dr. Beninato’s and Premier Dental’s practice is giving back to the community. Each year, Dr. Beninato participates in a program known as Dentistry from the Heart that encourages Doctors to set aside one day to provide free dental care to those in need. 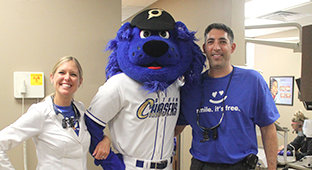 Premier Smile’s second annual Dentistry from the Heart day took place on Tuesday, August 18th. Volunteers that included individuals from Premier Smile, Arbor Bank, and hygienists and assistants from other dental practices teamed up to provide treatment to 136 patients that would have otherwise been unable to receive the care they needed. These patients received a variety of dental care ranging from cleanings to extractions totaling $54,000 in dental work. Not only was dental care provided, Red Cross was present to help run a blood drive with support from Casey (Storm Chasers mascot) and a local radio station. Those of us at NEDCO admire Dr. Beninato’s success and his commitment to improving the lives of those in the Omaha community. Please visit www.premiersmile.com to learn more about Premier Smile and Dr. Beninato.